Why is education such a major factor in shaping health? The links are complex—and tied closely to income and to the opportunities people have to lead healthy lives in their communities. Smaller social networks, higher neighborhood crime rates, and exposure to childhood trauma are just a few reasons why those with fewer years of education tend to live sicker, shorter lives. Education creates opportunities for better health. Americans with more education are more likely to have jobs with higher earnings; live in communities with more resources like greater schools and access to nutritious food, health services, and transportation; and acquire knowledge and skills to support healthier behaviors. Poor health puts educational attainment at risk. Poor health can also cause educational setbacks starting at a young age. For example, children with chronic illnesses like asthma and other chronic illnesses may experience recurrent absences and difficulty concentrating in class. Certain conditions—especially beginning in early childhood—affect both health and education. Factors like a person’s socioeconomic status or home environment can create stress, cause illness, and deprive individuals and families of resources for success in school, the workplace, and healthy living. 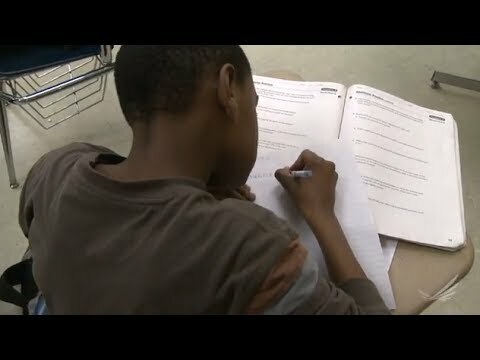 This brief and below video by the Virginia Commonwealth University Center on Society and Health’s Education and Health Initiative, illuminate these connections through the perspectives of residents of a disadvantaged urban community in Richmond, Va. This is the second in a series of four briefs, with the third and fourth briefs exploring the intersection of education and health care coverage and costs.